With all the cool perks and features of today’s Android smartphones, it is sometimes possible to overlook the basic cell phone functions your device was originally created for – making phone calls and communicating with people directly, not just via Twitter or Facebook. It goes without saying that our devices manage hundreds of contacts from our email accounts and social networks. If you have a lot of contacts, you probably want to filter them, or apply different groups to them – in other words, manage your contacts in a streamlined and intuitive manner. 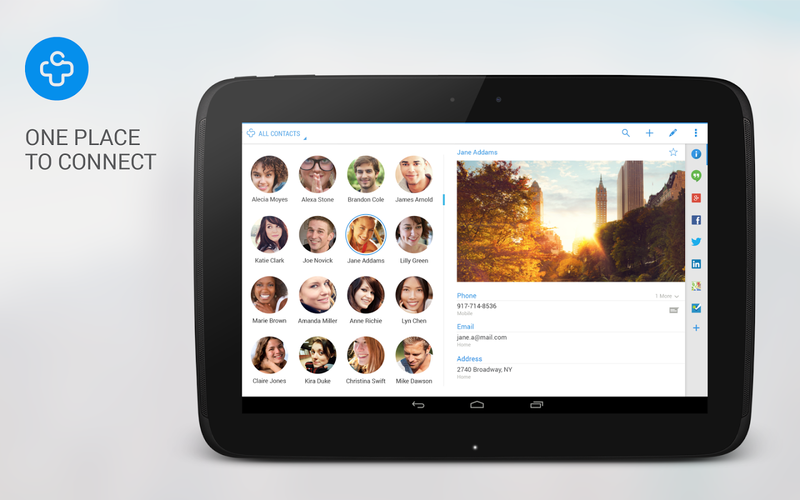 Let’s take a look at some of the best Android address book replacement apps that not just replace native contacts, or dialer, but offer extensive cutting-edge features. This application is probably one of the most basic address book managers, but it offers extensive functionality that the Android native contacts applications lack. It features smart T9 dialing, extensive customization options, as well as support for 30 languages and a lot of managerial and organizational features to handle your contacts. This app sports some excellent features it borrowed from other popular applications, such as swiping left to input a text message to a contact and swiping right to call the contact automatically. The robust theme system gives some extra freedom to users who like to customize every aspect of their smartphone’s performance. 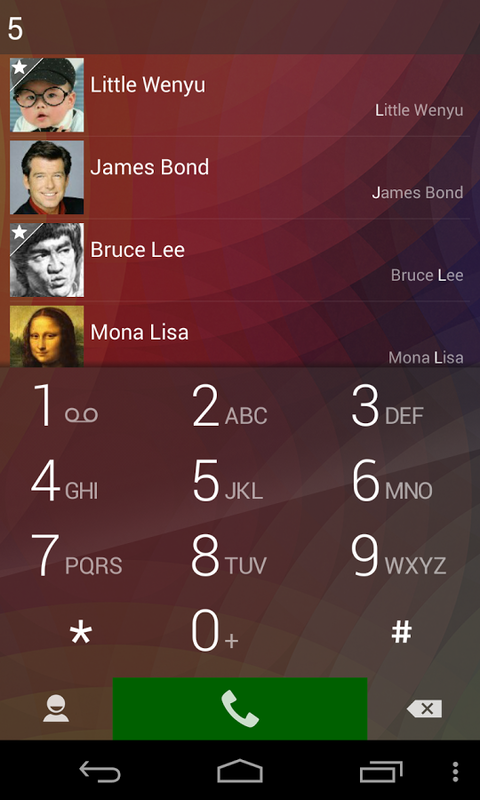 The default theme itself looks awesome, and many users just stick to it instead of stock Google dialer. While the context menu follows Android style guidelines very well, the flat UI adds that sophisticated aesthetic to the app, making everything look clean and neat. The app itself offers 2 other preloaded themes, such as the classic theme resembling iOS theme and a crystal theme, which makes everything in the application transparent and also looks very neat and stylish. It is possible to have these themes set to apply at different times of the day, which is actually very convenient because you can get a bright white theme during the daytime and a muted dark theme at night, or vice versa, depending on your preferences. Power users will be able to enjoy another nifty feature, which is VoIP calling, so if you would like to use Internet connection for your phone calls instead of your wireless carrier connection, you can use this application to make your phone calls via Skype, Viber, Fring and some more service providers. It goes without saying that the language pack of 30 different languages is a very welcome extension to the UI. Overall, ExDialer & Contacts is a highly customizable and a lightweight contacts manager and a dialer. It comes with a 7 days free trial and a $4 price tag for a one-time purchase. ExDialer & Contacts download link. Contacts+ is a very beautiful and solidly built address book, which stands out from the crowd because it integrates your social networks and other messaging applications into one neat user interface, pulling metadata and other relevant information on your contacts, including photos into a streamlined and modern interface. As you setup the application for the first time, it will ask you to add your social network profiles so that the application can pull contact photos and other relevant information from Twitter, Facebook, Google+, LinkedIn, and Foursquare. For most of the users, this extensive list covers most of their social circles. Once the application links your contact with his or her social networking profiles, you will get detailed reports about your contacts’ social activity – their Facebook wall and photos, their tweets and more. In addition, you will be able to “like,” and reply to their tweets and posts from within the application, and in this respect Contacts+ goes beyond regular address book and dialer. You simply have all of your communication in one application. In terms of managing and organizing your contact list, the application offers a fantastic way to sort and apply groups to your contacts. By default, the contacts on your list are sorted alphabetically, but with a very smart touch to it because the top 10 most frequently contacted people are displayed above everyone else. That way you have a very quick access to find your friends and family and whoever is important to you on the list. You can tweak this feature, or turn it off completely, but most users find it very helpful to have their favorite contacts displayed above the rest. Other typical contacts sorting features are also present within the application, such as favorites, groups, and contacts with phone numbers only, etc. Besides the extensive organization and social media features, Contacts+ sports a very cool built-in text messaging application and a dialer. The latter is functional and offers a smart T9 dialing, speed dial favorites and more. The text messaging application is a fully-fledged app with emoji support, text message pop-ups and group messaging cured. Contacts+ is free of charge and offers some bonus plug-ins from the developer, such as smart shortcuts to the messenger and dialer, tools for merging contacts and edit emoji. If you’re looking for a free application with a powerful slew of features, give this application a try. This is a widget that is compatible with GO Launcher Ex, and it’s pretty handy since you can contact your friends directly from your home screen without launching any additional apps. You can place a phone call, sent a text message, or check their contact details, as well as shoot an email or start a Google talk chat directly from the widget. If you long-press a contact, you will enable a pop-up window with one-tap actions to place a call, send a text message, or view profile. The widget is re-sizable and supports different themes you are using with your GO Launcher. Since the developer is primarily focused on the themes, this application, too, has tons of themes to customize. The default themes are three, but the application in itself is quite open, and you can download more themes to apply from the Google Play store to match your style. 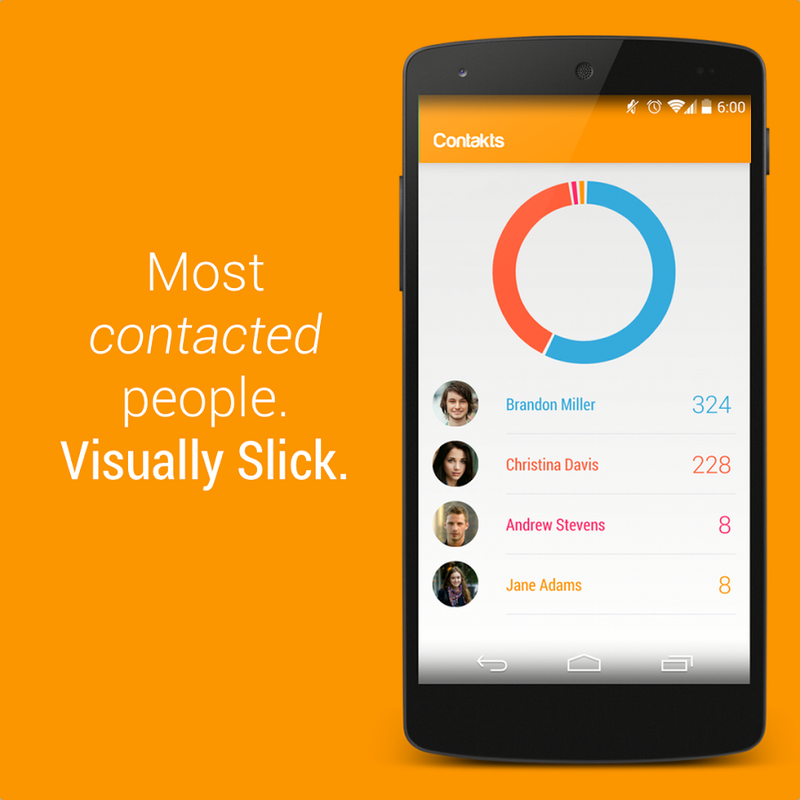 This application follows a different pattern of managing your contacts, and instead of coming at you with an overwhelming number of features and algorithms, Contakts keeps the focus on your favorite contacts and pulls as much relevant information about them as you allow it to, and offers that information in one user interface that is one of the best looking address books you will ever find on Google Play. Contakts pulls information from Google, Facebook and WhatsApp, blending it with your contact list to display everything it could possibly dig on these people: email addresses, phone numbers, location data, posts and images. From within the application, when contact is displayed, you can call the person, send a text message or open a WhatsApp history with a single tap. Contakts, on the other hand, does not offer a built-in text messenger or an SMS app to it. On the flipside, Contakts offers another unique feature which is somewhat similar to the one found in Contacts+, which is displaying the most frequently contacted people on your contact list, but it also offers beautiful graph – the breakdown of how much you talk to these people. While it may not be crucial for some users, but for others it may seem interesting to see how much they talk to some people. The list of frequently contacted people also gives you a one-tap access to calling or texting people on the list. While this application is not particularly loaded with features, but it sure is one of the most beautifully designed applications on the list, with solid theme system that offers users the freedom to choose the color scheme they would like to implement. The overall design looks fantastic, and if your device is running Android KitKat, you’ll get some additional perks, such as semi-transparent navigation bar and color matching notification bar theme. It is not a very widespread case when applications support the latest cool features rolled out by Google, and in this case, the application is a flattering exception. The app is free, and ad supported, but you can remove ads via in app purchase. PixelPhone is a yet another beautifully designed address book and dialer replacement app that in a way resembles Go Contacts Pro in its aesthetics. The application is abundant in tweaks and customization options, and offers a slew of built-in themes and more themes available on Google Play store via standalone downloads. One of the best parts about this application is the dialer because it is quick, well-animated, smooth and supports T9 dialing extending to your contact lists and call logs. Multiply that by an adjustable keypad size and gestured controls to filter your contacts, you will get a superior address book manager and a dialer. If you have too many contacts that you need to sort, the sorting options available in PixelPhone can make life a lot easier for you. This app makes managing contacts smooth, offering some quite unique options to group your favorite contacts, and everyone else. Customization is one of its strongest points, with several color themes available by default, including the flat black and white themes that will appeal to be devotees of the simplicity in design. In addition, you will be able to find some HTC Sense-styled themes in the app, and a dozen more on Google Play store to match your style. PixelPhone offers extensive customization features and flexibility unlike any other app, and it works smooth, offering an excellent value for the zero dollars price tag. These are just some of the most obvious address book and dialer replacements for your native Android apps, but you’re welcome to add more apps on the list, so leave your suggestions in the comments below. Thank you for reading PocketMeta!